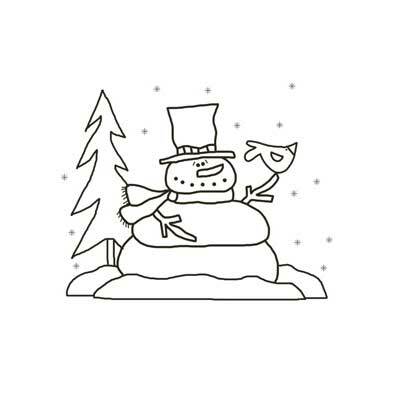 Snowman template - It's a love affair between birds and snowman. This template has a snowman holding a bird. Snowman stencil, outline, pattern.